The Trinity Church Board is responsible for setting the vision and mission of the church, as well as the oversight of all aspects of running a church including staff, financials, communications and property maintenance. The Board is a small group of church leaders committed to the future of Trinity in downtown Kitchener and to leveraging leadership skills and opportunities to take us into the future. Katherine Bitzer, a life-long member of Trinity United, lives in downtown Kitchener with her husband and three young children. She is passionate about social and environmental justice issues and has spent most of her working life in the non-profit sector. Katherine and her husband also spent a year living in rural Kenya while volunteering with a local community resource centre. Katherine has always been an active volunteer in her community - most recently, a 2-year term as the Chair/President of the Board of Moppet Preschool during a time of major transition and change. Barbara Hill was baptized at Trinity United Church, attended university in Ottawa and started her career with Honeywell in Toronto, transferring to Waterloo Region in 1989. 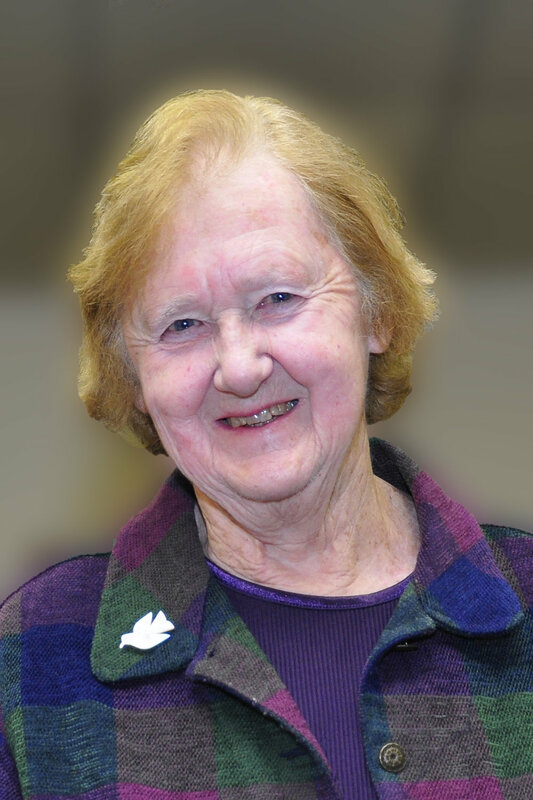 Barb chaired Trinity’s Church Council in 2005-2007 and retired from KidsAbility in 2015. Barb joined the current Trinity Board in 2013. In addition to her commitment to the future of Trinity as a church, Barb is a long standing community volunteer with the Crime Prevention Council, Autism Services Working Group (Waterloo Region Family Network), Leadership Waterloo Region, Social Venture Partners and the YMCA. Ginger has been an active member of the congregation for many years volunteering with the church school and nursery. Originally from Etobicoke, Ginger graduated from the School of Nursing at Queen's University and worked in Toronto and Guelph before moving to Kitchener. She focuses on community health care and currently works for the Community Care Access Centre. Ginger is married and has one son, a daughter-in-law and is the proud grandmother of two grandchildren. She stays young at heart with a membership at the YMCA and volunteering with the children. Lynn was born in Waterloo and grew up in this community. Lynn has been involved in a number of initiatives at Trinity - raising money for youth trips, volunteering her management expertise to the Whatever Club and the M&P Committee, and teaching Sunday School. A proud mom of two grown sons, Lynn has been happily married to Peter for almost thirty years and works at Manulife. Jane has been a member of Trinity since she moved here with her husband, Doug and their two sons in the 1970’s. In Trinity, Jane and Doug found a community similar to the churches they grew up in . Jane became actively involved in Trinity, joining the Couples Club, the United Church Women's group and various other church committees. In 1992, Jane and Doug were selected by the United Church of Canada to participate in a four-year long international, non-denominational mission to Nepal which they found inspiring and transformative. Jane chairs the Board of Trustees and over the years has chaired or co-chaired several fun(d)- raising events for the church. She has served several times as our representative to Waterloo Presbytery of the United Church of Canada - a position she once again holds. Originally from Manitoba, Vi moved to Ontario fifty years ago and has been a Trinity member for many years. Vi is a retired Social Worker and specialized in therapeutic foster care. She volunteered for many years with Special Care Homes as a Friend of Maycourt, she was a volunteer driver for RAISE (Community Care) and Family and Children's Services covered many miles for several years. She has volunteered actively with Trinity for many years, including study groups, and Out of the Cold. An avid reader, Vi has been involved with the Probus Book Club as well as Trinity’s Book Club for many years. Recently remarried, Vi has two daughters and two grandchildren. As an athlete, coach and sporting goods executive, Pete understands how important it is to work together as a team. 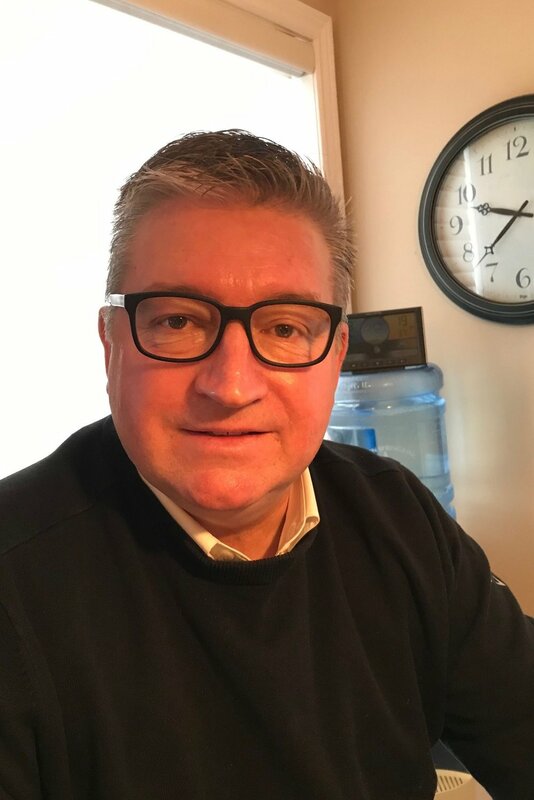 Whether it is volunteering his time with K-W Inline Hockey, Waterloo Minor Hockey or leading the Watersports Sales Team at HEAD Canada, Pete brings meaning into the lives of others everyday through his passion to community, young athletes and Trinity. His family (Lynn and the boys) means everything to him. A veteran change agent, Pete’s gifts for managing stewardship is especially important to Trinity right now. A lifelong resident of Waterloo Region, he lives in north Waterloo with his family.